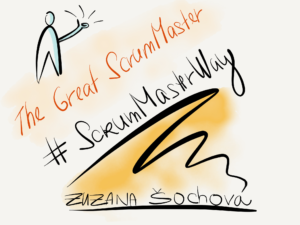 Product Owner role is usually more understandable for companies that the ScrumMaster role. After all, companies have someone responsible for the product or business. So that’s the candidate. 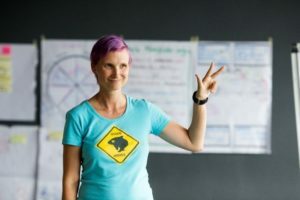 The problem starts when we deep dive into the role understanding and find out that Product owner shall not only understand the business but needs an authority to say “NO”. If you don’t, we mostly end up being late, with stress and low product quality. How the Product Owner shall decide on priorities and how shall they know when to say “NO”? Overall it’s simple. Apply simplicity rule. It’s already in the Agile Manifesto as one of the principles. ‘We maximize the work not done.’ It has its roots in the research saying that 60% of a successfully delivered product is never or rarely used. So why do we keep investing into those features. Isn’t it waste? It is. But it’s hard to say no, so Product Owners keep prioritizing those features. Instead they shall act as investors and evaluate if the expected benefit will be paid off. If yes, do that. If not, let’s start a conversation or a negotiation with the customers about what else can we do to help them with what they need. The functionality they asked for are just one option how to achieve it. Who is the great Product Owner? The great Product Owner is an investor – imagine you would invest your own money into functionality you prioritize for the next Sprint. The great Product Owner must have an authority to say NO. The great Product Owner must be good at communication, always search for another option how to deliver maximum value to the customers with least possible effort. The great Product Owner shall understand that your customers (internal stakeholders, users, … ) have wishes. Those wishes often contradict with each other so you can’t make them all even if you have unlimited resources. It’s up to you to decide where the highest value is, and skip the rest. The great Product Owner must have business knowledge about the product and understand the customers – it’s not a technical role. The great Product Owner shall have a time to spend with the team to build good relationship with them, and to make sure your team understands the purpose of the product/release/Sprint. If you don’t have all those, don’t worry. But eventually that’s who you shall become as a Product Owner.